Line a 15x10 baking sheet with foil. Make sure the ends of the foil wrap around the pan, so it doesn't move. Lay the pretzels end to end covering the entire pan as much as you can. Melt the package of CandiQuik according to the package directions. Gently pour over the pretzels on the pan. Use an angled spatula to evenly and gently spread the chocolate over all the pretzels. 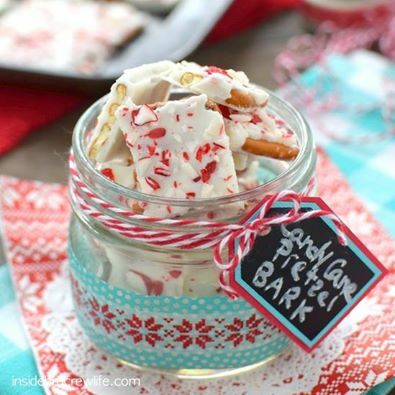 Sprinkle with candy canes or Peppermint Crunch sprinkles. Break apart into single pretzels or bigger squares of pretzels.